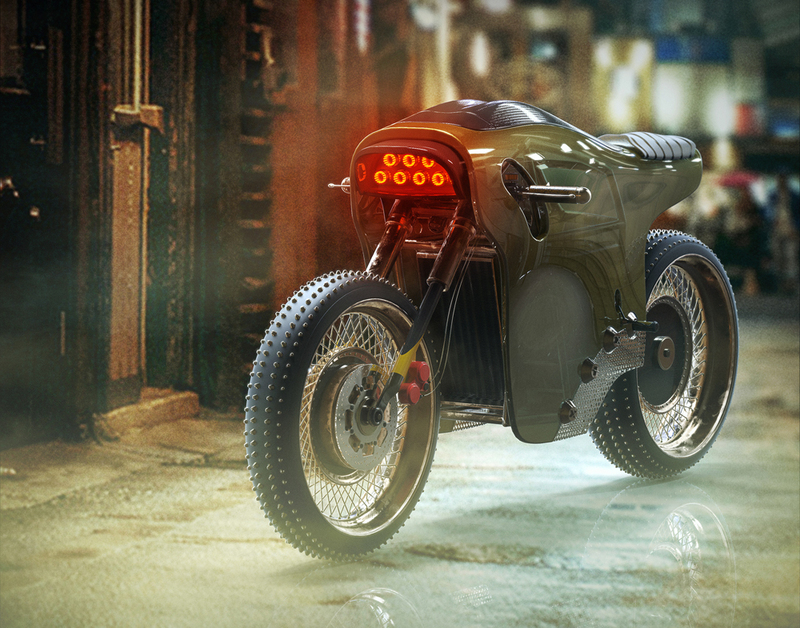 Inspired and motivated by what would be possible by combining an electric power plant and a cafe racer, Michael Cohen created this Electric Cafe Racer Concept. 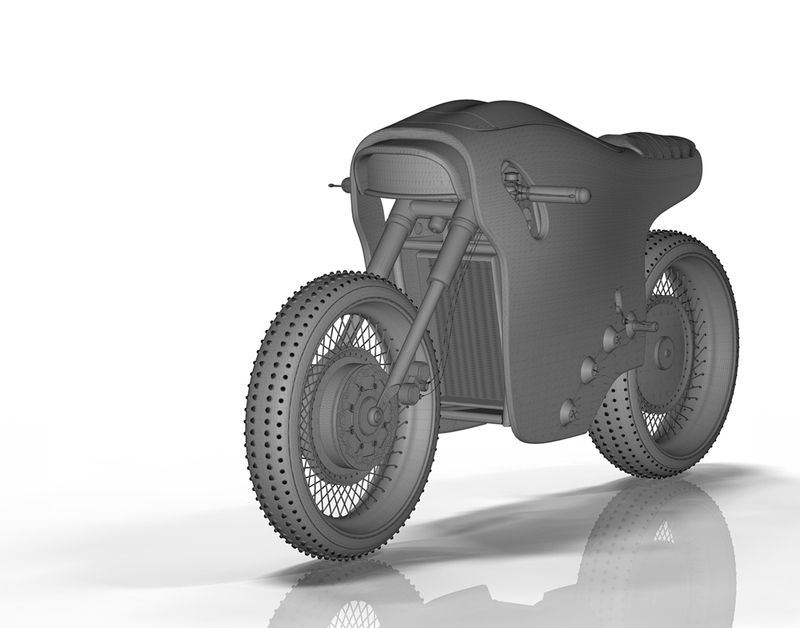 The industrial designer, illustrator and digital artist out of Hillsboro, OR, made quite a few interesting choices when it came to designing a bike from the ground up. Between the multi-LED headlights, the studded, wire spoke wheels and tires, and the translucent covering of the frame and components, this bike feels like a cafe racer created equally from the worlds of Tron and Mad Max . 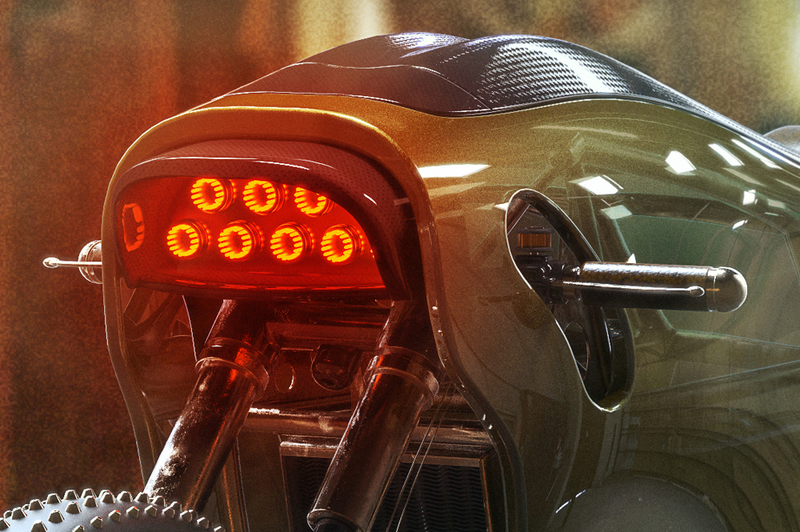 At this point the bike is nothing more than a series of cool design ideas, but hope that some day it’ll be a reality.